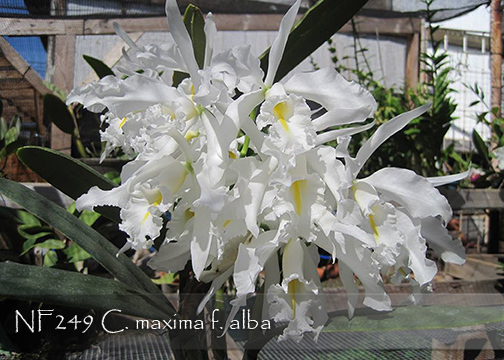 Capable of producing up to eight flowers per inflorescence, this alba form of Cattleya maxima is always highly sought after ! Crystalline white flowers can reach almost 14cm in size on gracefully presented inflorescences. Deserving of a place in every Cattleya species collection. Highly Recommended !